I’ve been in the IT industry for a little while now, and I’d like to think I’m a bit more aware of the industry than I was when I started. I certainly don’t know everything, but I’m quite confident in my ability to my job. There are a few things that I’ve learnt now that I wish I knew back when I started – and I’d like to share them with you. Maybe you agree? Maybe there are other things that you wish you knew when you started in IT? For me, there are three main points that stand out. I thought that when I came out of university with my degree, I’d go into a job in specific field and be doing that for the rest of my career. I mean, it was a fair assumption – I’ve chosen an area because I liked it, and applied for jobs in that area. Why would I change? I majored in Oracle database development with a bit of Java (but my strength was databases). I took all subjects that dealt with databases – querying, advanced programming, performance, design. It was something I was, and still am, passionate about. I applied for a job, got the job, and began working in an environment with Oracle databases. I was fine with doing that – it’s what I expected to do. But then I learnt that it doesn’t have to be like that for the rest of your career. You are allowed to change, move around, try different areas. You might get exposed to another area of IT that you quite like, or want to know more about. Developers can move into business analysts, or testers, for example. Network engineers can move into server administrators, and Linux programmers could move into network administrators. The great thing about the industry is that it is quite flexible – as long as you can learn new skills and are willing to move outside your comfort zone, then you don’t need to be worried about doing the same thing for your career. But, don’t get me wrong – if you like doing what you’re doing, and are good at it, that’s great! You’ve also got the option to keep doing it. When I started in IT, all I really focused on was my direct role. Writing code, performing tests, querying databases, that kind of thing. I didn’t pay a lot of attention to the actual business side. I actually started as a consultant (I still am, as well), which means my first client wasn’t an IT company – I just worked in the IT department of their business. Learning how their business worked is something I eventually did over time, but if I’d known that from the start, it would have helped me with my job. Knowing how the company does business, what they do, and why they are doing it, will help you a lot in IT. It will allow you to see the bigger picture, can help you with promotions, and can give you ideas about ways to help your employer. If you work in, say, a utilities company, learning about the utilities industry (gas, electricity, water, etc.) can help you do your job better. It will help you understand the priorities and reasoning behind IT projects and why they do things. Starting an IT career is quite a step up from many previous jobs. If you’re just out of university or college, you might have been working part time or casually somewhere – an IT store, a school, a supermarket, restaurant, clothes shop – the list goes on. With the part-time hours, and student rates, you would most likely be making enough money to fund your lifestyle. Maybe a few hundred dollars a week to pay for your car and nights out with friends. When you move into working full time, there is probably going to be a big jump in your pay. Most IT jobs are paid as a salary. This means, when you get employed, you are expected to work a certain number of hours per week (usually about 40, sometimes more), and you get an annual pay figure. This annual pay is split into weeks and paid to you (or fortnightly, or monthly, depending on the company). This means you get paid the same amount every period. You’ll probably be earning a lot more than you were previously – which is great, but can be quite dangerous. This is where I wish I knew how to manage my money. I continued to keep up the same lifestyle I had in university, but with quite a bit more money. It was fun at the time, but looking back it was quite a waste of money. The point I’d like to make is that you just need to be aware of the money you’re earning and what you’re spending, and try to take a long term view. I’m no personal finance expert, but many people recommend that making an effort to save some of your money is a great way to get ahead in life. Even if it’s a small amount, it can add up over time – putting 10% of your pay into a bank account with interest can really add up over the years. I’ve since learnt that, and am more in control of my finances, but it can be dangerous if you’re not aware of it. In the last couple of years, I’ve taken an interest in personal finance and have learn’t a lot about it. There you go – three of the biggest things I wish I knew when I started in IT. 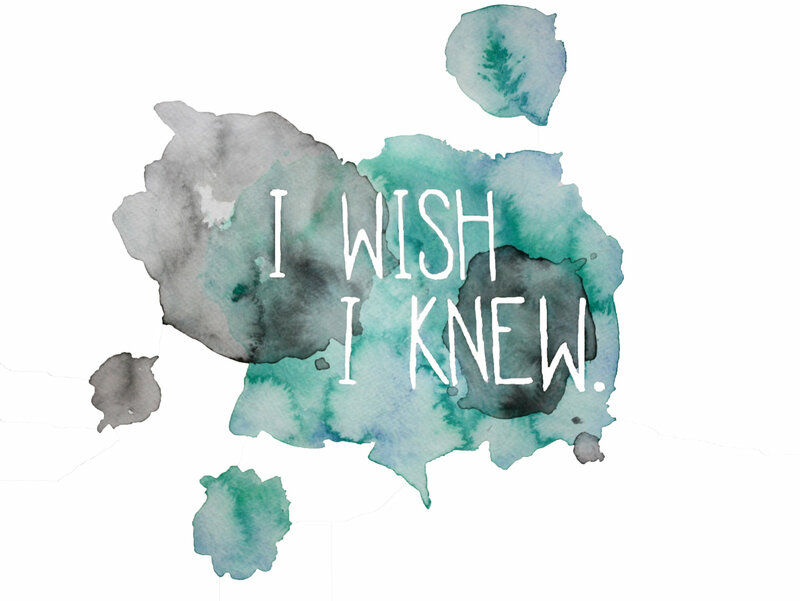 Do you have any other things you wish you knew? Share them in the comments section below.